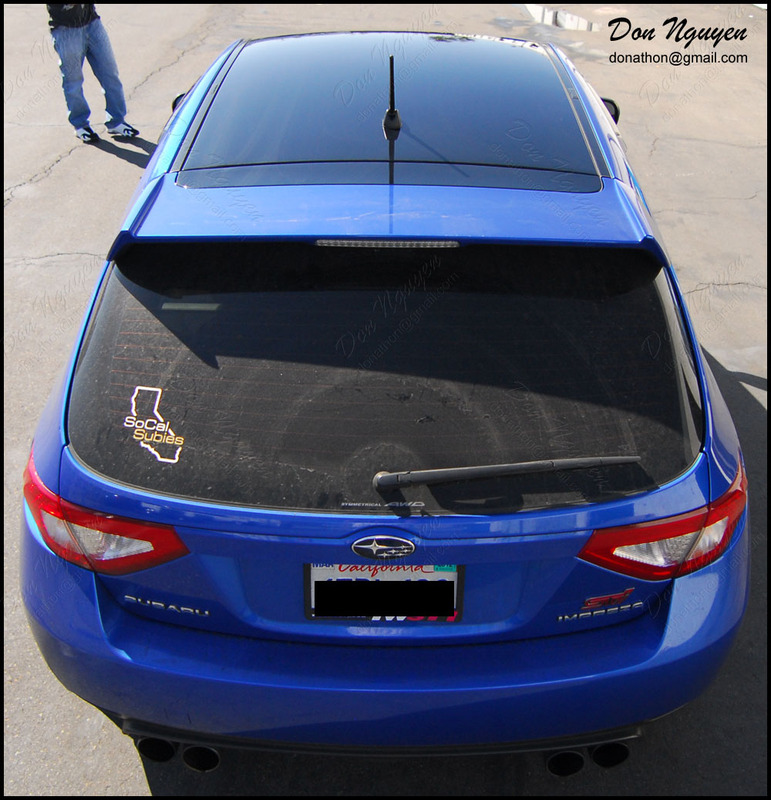 Had this blue Subaru STI hatchback / wagon come by to have me wrap the roof of his car in my gloss black vinyl material. 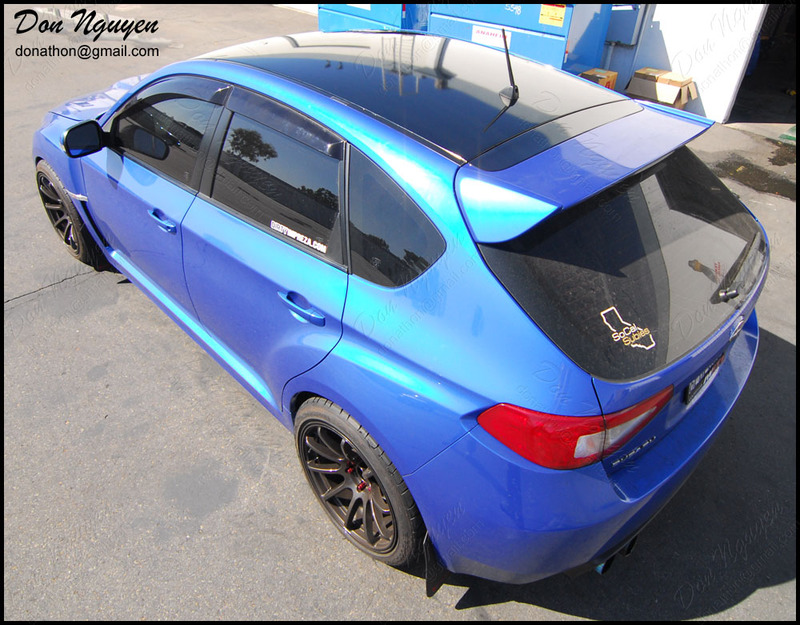 I had also done his brother's Subaru's roof, but in the 3M dinoc matte carbon fiber, a couple of years earlier. The owner of this car was from around Westminster or so and drove out to me in Anaheim Hills / Orange County to get the work done. Subarus are one of the cars that I think can pull off a matte black roof look, but I think that gloss black on this car and color turned out fairly nice.